Our villa is a beautiful one bedroom, two bath located in scenic Shipyard plantation. Beachwalk is the closest complex to the beach in Shipyard and our unit is nestled in the trees but is only a short 10 minute walk or 5 minute bike to the spectacular wide beach. Shipyard is one of the prettiest parts of the island and offers the amenities of the adjacent Sonesta Hotel as well as having 3 golf courses and the Vandermeer Tennis complex. HAS HIGH SPEED INTERNET CONNECTION AND LARGE SCREEN HDTV. Our villa contains a new large king size bed in the master bedroom and a sofa sleeper in the living room. The unit is located up one flight of stairs and is bright and cheery with a skylight illuminating the kitchen. You can also take advantage of the huge deck which wraps around the entire front and side of the villa. Within walking distance is the Sonesta hotel where you can dine or sip drinks in their indoor or outdoor bars. Also nearby just out the Shipyard gate are the shops and restaurants of Coligny Plaza. Very quiet, non-smoking, no pets unit. Convenient to all Hilton Head Island has to offer - which is a lot. While there stop at Steamers Restaurant in Coligny Plaza which is just outside the Shipyard gate. Nice location, unit needs updated. The property was in Shipyard which is our favorite plantation to stay at when in HHI. The unit was set far back in beachwalk, but still walking distance to the ocean. The unit was what we needed, but could use some work to make the amenities more modern. Everything We Needed and More!!!! Loved this property. Very clean and comfortable. So much space for a one bedroom-two bath villa. Everything you need is there for you. Loved the added bonus of a library of paperbacks-games and puzzles. So perfect for the rainy days! The kitchen was stocked with everything you needed and it was all clean and in excellent condition. A big thank you to the lady at the rental office who came over after work to help out with a problem with the TV remote. Would not hesitate to stay here again. A great unit for a very reasonable monthly rate. We have been coming here for 3 years now, for a month and feel very much at home. The furnishings are very comfortable and the location is ideal. It is just a short walk or bike ride to the beach. 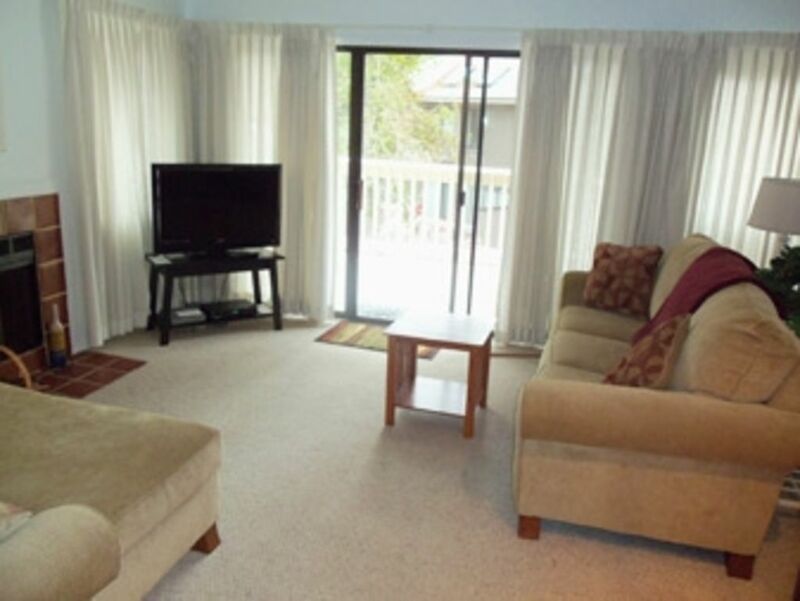 The unit is well maintained with updated furnishings and a wonderful king size bed.